Find out about how to have a successful career as a Fitness Instructor including the requirements, qualifications you'll need, hours, salary and how to get started. The demand for experienced fitness professionals is on the rise, so there's never been a better time to start your career in the fitness industry. There are a few different routes you can take and it can get a little complicated. That's why we've put together a guide on how to become a Fitness Instructor which includes information on the requirements, the skills you'll need, the typical hours, the salary you can expect, career progression like becoming a Personal Trainer and the opportunities that are out there. There are no set requirements for becoming a Fitness Instructor and you may decide to learn on the job. However, to get a basic foundation, we offer accredited courses for the first step of your journey. These courses will teach you the basic principles you'll need in the industry including how to tailor programmes to suit individual needs and the most up-to-date and effective training methods. You can choose an entry-level course based on whether you'd prefer working in a gym with the Gym Instructor course, teaching groups in Exercise to Music, teaching in the water with Aqua Training or teaching children with Kids' Fitness Play and Games. 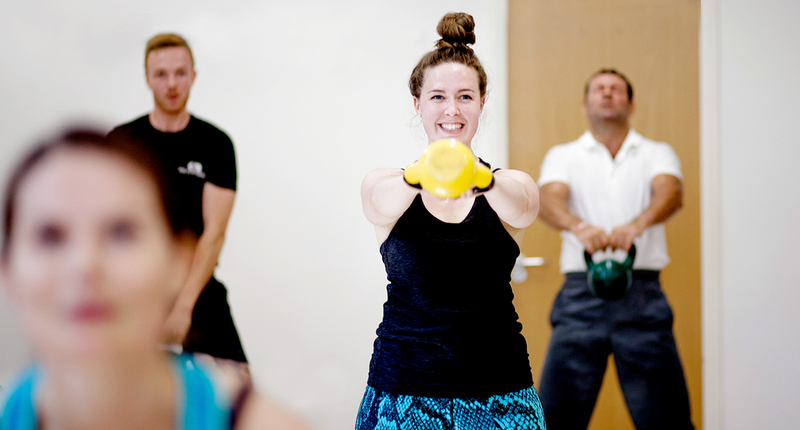 A fitness instructor role means you'll be working closely with lots of different people. You'll need to have good communication skills. Be able to motivate a variety of personalities to enable them to reach their potential. The ability to plan and get organised will also be helpful so you can arrange exercise programmes for your clients. As a fitness instructor, your hours may not be the normal 9 to 5. Although you probably won't work more than 40 hours per week, you may get to set your own hours so you can be a little flexible. These hours may include some evenings, early mornings and weekends. You'll usually start on somewhere between £14k to £16k growing to around £17k with more experience. If you're self employed the average earnings are between £20 and £40 per hour. Remember, your salary will depend on your level and whether you work for a gym or you're self employed. It will also depend on where you're working and the number of clients your have. The initial training starts with our courses above. After this, you may want to continue your study and learn more with a continued professional development course. These courses allow you to further your career in fitness by broadening your skills with a more specialist area, allowing you to build up your portfolio and learn new things. You can choose from a range of our courses and areas of interest here. There are many opportunities out there once you're a qualified gym instructor and as the UK's most established provider of fitness training courses, we've earned a reputation for excellence amongst employers in the sector. We have also developed recruitment partnerships to help get your fitness career off to the best possible start. Find out more about this on our blog or you can come along to one of our open evenings. Find out more about becoming a fitness instructor you can come along to one of our open evenings. Learn more about the different routes into the industry and find the right course for you.